As if UFC Fight Night 76 could afford any last-second injuries, let alone one to arguably the card’s biggest name. On Tuesday, it was confirmed by UFC vice president of public relations Dave Sholler that heavyweight Stipe Miocic (pictured) has suffered an undisclosed injury that will force him out of next Saturday’s co-main event against Ben Rothwell. “Can confirm that Miocic is out of Dublin fight. We are reviewing options for a potential replacement. Wish Miocic a speedy recovery,” Sholler tweeted. Rothwell was in disbelief, tweeting a message to Miocic after news broke. 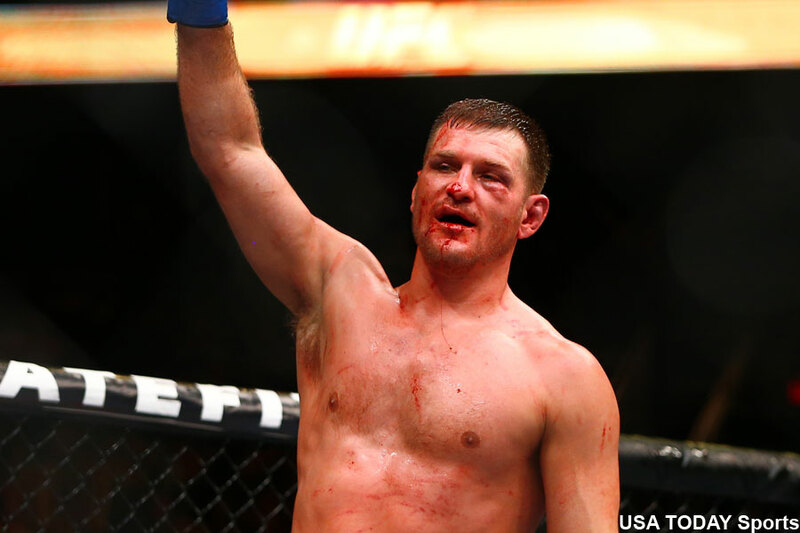 “… @stipemiocicufc for real?” Rothwell asked. Miocic didn’t respond at the time of publication. The October 24 event takes place inside 3Arena in Dublin, Ireland. UFC Fight Pass streams the entire event live in America.